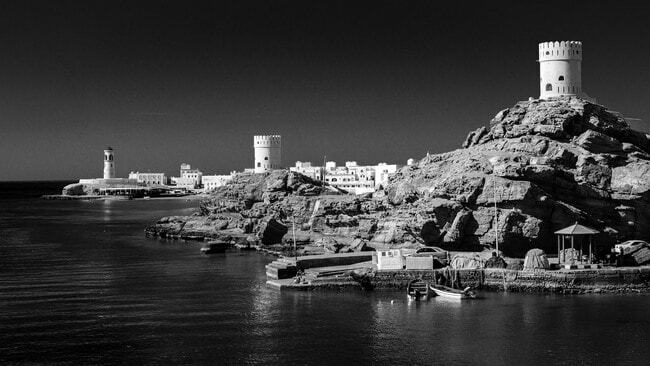 Oman has much to offer visitors keen on history and the natural world. It’s celebrated, not only for the natural charm that surrounds every corner, but also for the mind-blowing architecture of the houses, forts, castles, mosques and museums. Although a short visit will not do the country justice, if you only have a few days, focus on these top must-see attractions. Muttrah is a city located in the capital Governorate of Muscat. 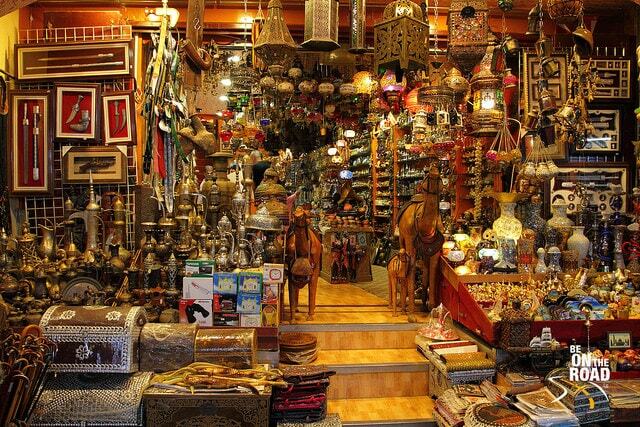 The Muttrah Souq is a traditional market on the Muttrah Corniche, and consists of several small shops that sell Omani products such as colorful fabric, traditional clothes, silver and gold jewelry, and souvenirs. It is one of the must-go attractions in Muscat and a great place to take pictures. 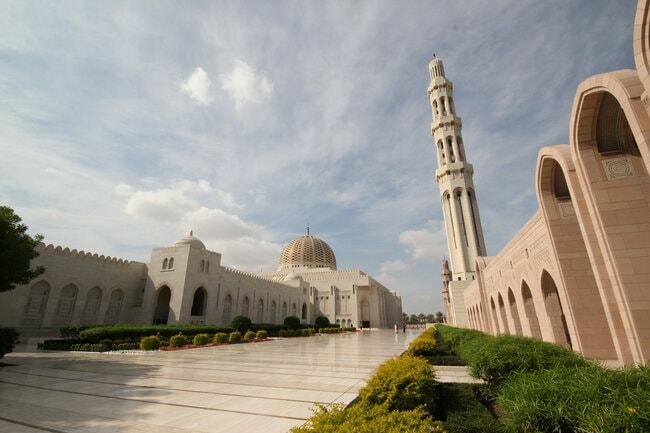 The Grand Mosque is the most famous of the Sultan Qaboos mosques that are built in different cities around the country. It was built in Bausher in Muscat in 2001. From its minarets, large golden dome, arches, engraved walls, decorated interior, unique lamps and central crystal chandelier, the mosque is an absolute architectural wonder. The Musandam Governorate is located in the far north of Oman and is separated from the rest of the country by a piece of land from the UAE. It is surrounded by the Gulf of Oman and the Arabian Gulf, which is why it has many beautiful beaches that are filled with pure white sands. One of these spectacularly famous beaches in Musandam is Khassab beach. Ras Al Jinz is located in the city of Ras Al Hadd in eastern Oman. It is a natural reserve for endangered green turtles where around 20,000 females return to every year to lay their eggs. 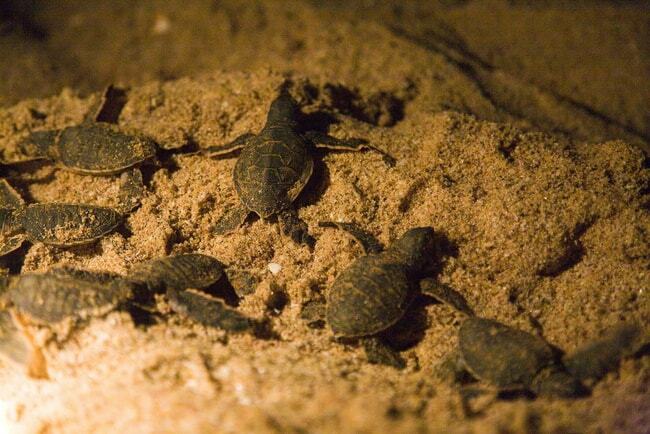 Beside the marvelous beach, crystal waters and golden sands of Ras Al Jinz, visitors can enjoy watching the turtles digging their nests and laying eggs, and even see the small turtles hatch their eggs and head back to the sea. This amazing nature observation is organized by tour guides from the Turtle Reserve very early in the morning. 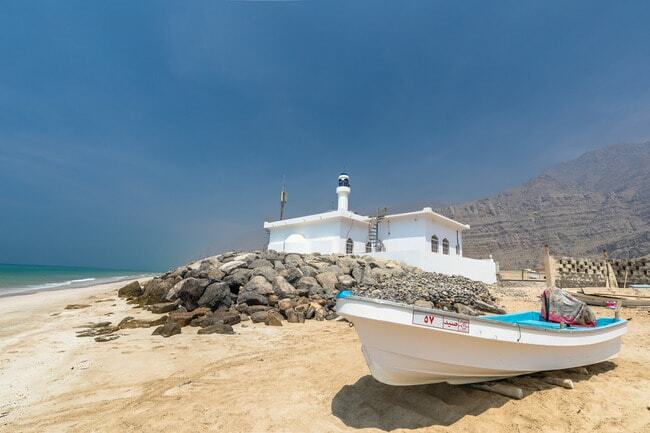 Shatti Al Qurum, or Al Qurum beach, is one of the longest beaches in Oman. It lies in the capital of Muscat on the northern coast. It is one of the busiest beaches, as there are numerous cafés, restaurants, shopping malls and hotels located nearby. 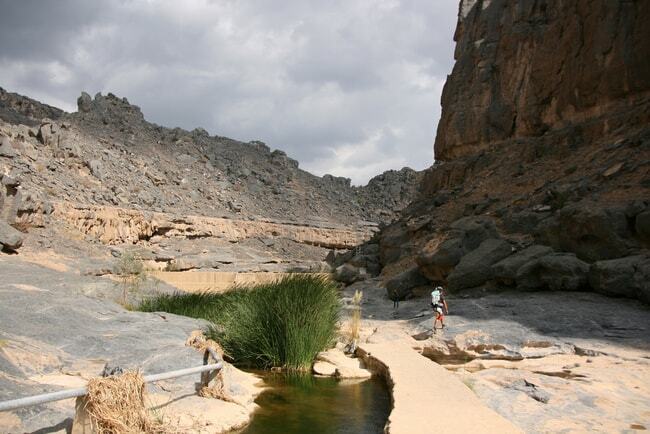 Wadi Bani Khalid can be fairly called a natural green and colorful paradise on Earth. The wadi (valley) is located in the Al Sharqiyah Region and has several water pools as well as a spring (ayn in Arabic) that keeps water flowing inside the wadi all year long. Wadi Bani Khalid also has several villages inside and colorful plantations among its lands. With all of that and the uniquely red rock formations, the wadi looks resembles a mind-blowing painting. Oman has a unique heritage, and its ancient history and culture can be appreciated through the different forts and castles on its lands. A visit to Oman must accompany a walk through this heritage, which can be witnessed in Nakhal Fort, Nizwa Fort, Jibreen Castle, Al Hazm Fort, Al Rustaq Fort and many others in every corner of Oman. Salalah is an amazingly beautiful city located in the Dhofar Region in southern Oman. It is famous for its autumn Khareef Festival ,which lasts from July to September every year, and turns the whole city into a huge green rug with different plants and palm trees, and gentle rains. 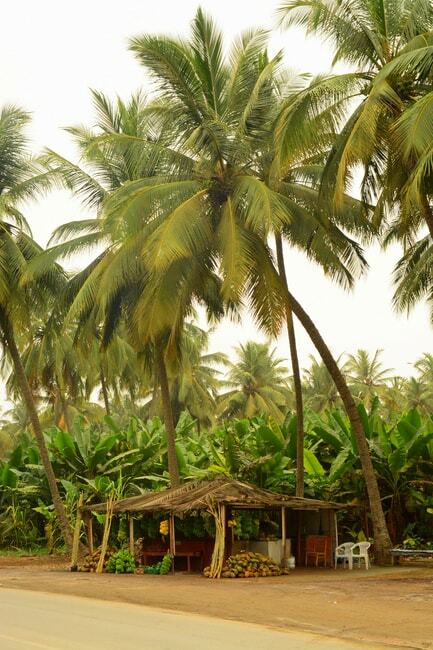 Every visitor must spare few days to enjoy this splendid natural escape. Jebel Al Akhdar, the Green Mountain, is one of the marvelous mountains that is part of the Al Hajar range in the Al Dakhliya region. It is named after the green areas and plantations covering its rocky lands. The mountain has several hiking trails, and villages where people raise animals and farm. 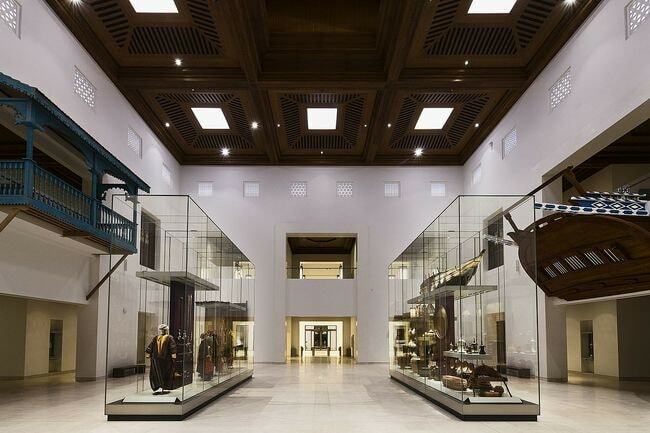 The National Museum was established in 2016 in Muscat as a showcase for Omani heritage. 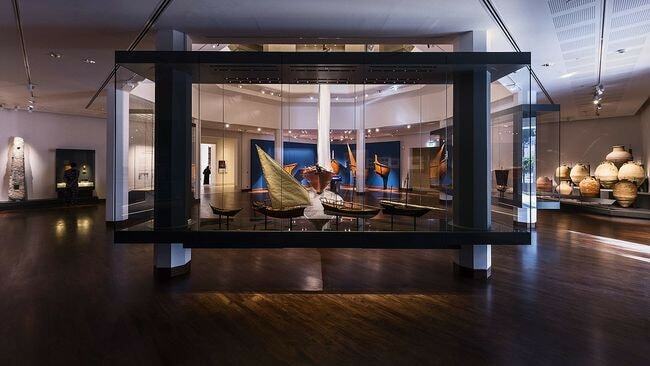 Covering an area of 13,700 square meters (147,000 sq ft), the museum has several galleries that explains the history and culture of Oman, along with big electronic monitors that brings the exhibited crafts to life. The galleries inside the museum are divided as follows: Oman and the World, Intangible Heritage, The Land and the People, Maritime History, Prehistory and Ancient History, Splendours of Islam, Arms and Armour, Aflaj, Renaissance, Currency, and others. 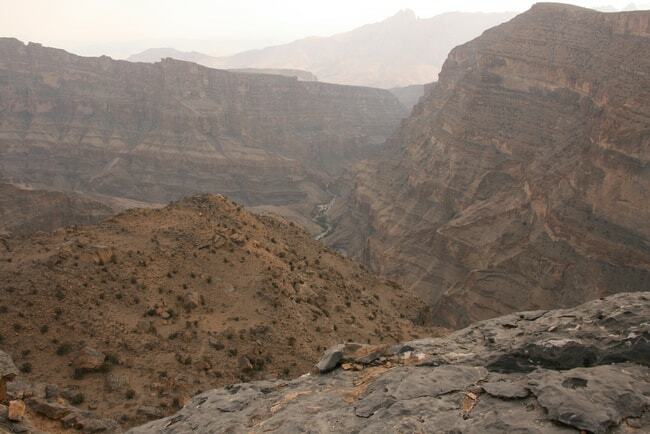 Jebel Shams, or the Mountain of Sun, is another impressive mountain in the Al Hajar range in the Al Dakhliya region. It is the highest point of the mountain range, and it is believed to be the first point where the sun rises, which is what inspired its name. The mountain has great hiking trails, as well as spectacular views of the region from its top. 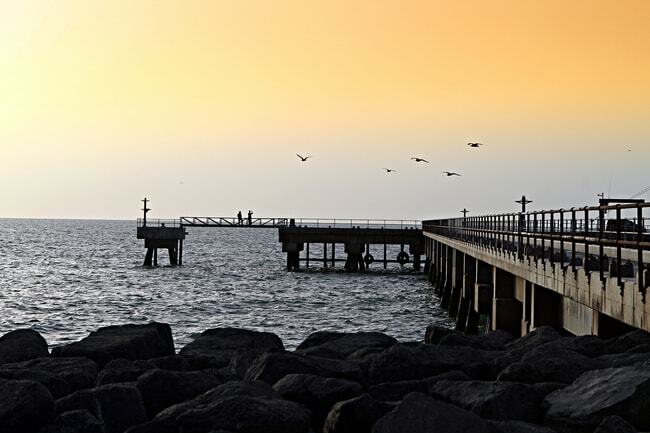 Masirah Island is the biggest island in Oman and is located in the eastern coast of the country. Being surrounded by the sea from all sides, the island used to specialize in manufacturing ships and there are a few abandoned ships in Ras Hilf, which is the island’s main town. Currently, the island works in manufacturing traditional textiles and fishing. Majlis Al Jinn has the second largest cave chamber in the whole world. It is located around 1,380 meters (0.86 miles) above sea level, and can only be entered through few holes at the top of the cave. It is the perfect destination for climbing and hiking adventurers and a great place for taking pictures of the unique rocky formations and the cave’s interior. The Royal Opera House was built in 2011 in the area of Shatti Al Qurum in Muscat. 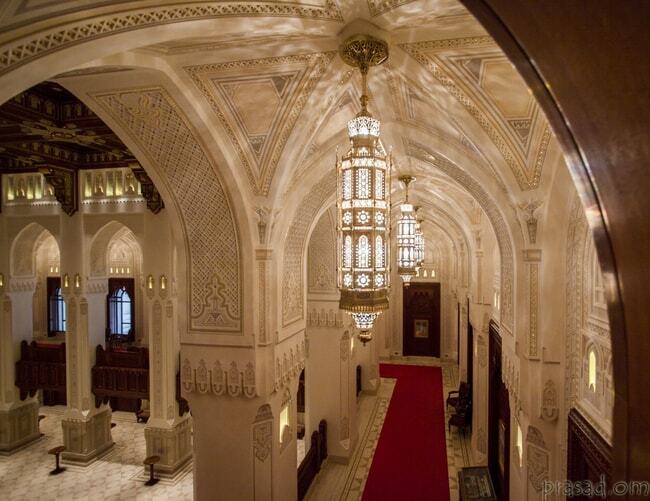 The distinguished Omani contemporary architecture makes it looks like a palace. The Royal Opera House is the main venue for arts in the capital city of Muscat and offers various international performances. Wadi Damm, Wadi Dhum or Wadi Dham, is another beautiful valley located in the Al Dhahira region. The rocky formations in the wadi are specially interesting as some of them are huge, others are smooth, some have unique lines on them and others have holes. With its sparkling water pools too, the wadi is a spectacular nature escape and perfect for nature-lovers. 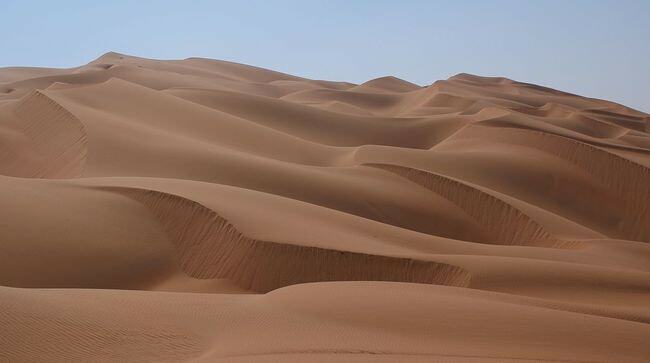 If you love deserts and sand dunes, then you should settle for nothing but the largest continuous sand desert in the world. Al Rub’ Al Khali, or the Empty Quarter, is the desert in western Oman and covers parts of UAE, Yemen and Saudi Arabia as well. Reaching an area of 650,000 square kilometres (250,000 square miles), the desert has unique biodiversity and is considered to be the world’s most oil-rich area. 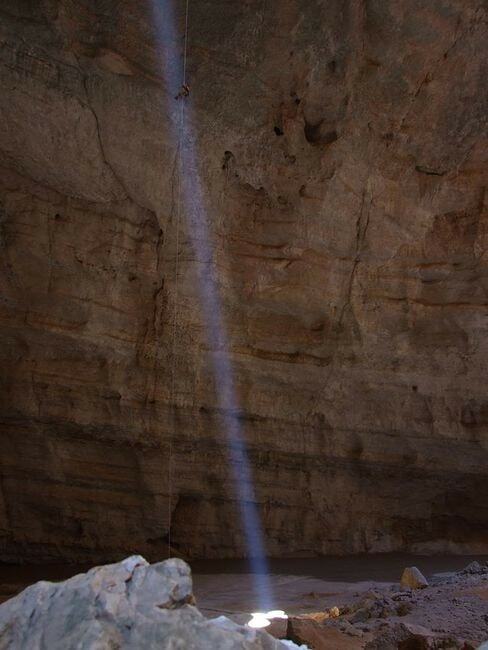 Bimmah or Dabab sinkhole is located in eastern Oman near Muscat. It was formed due to the dissolution of lower layers of limestones that caused the surface layer to collapse creating this big hole. It is famous for its crystal turquoise waters as well as the rocky formations that surrounds it. 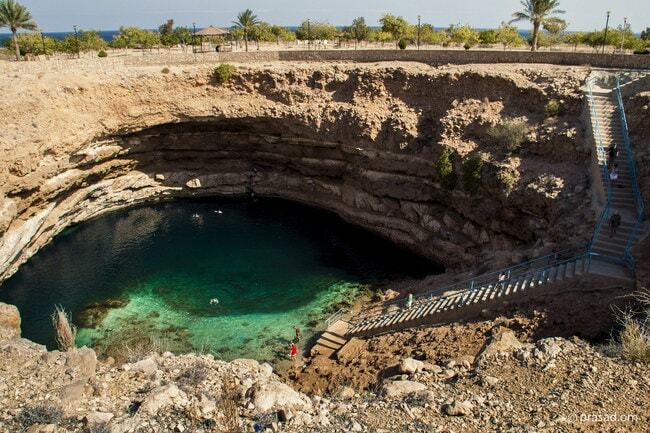 This amazingly beautiful sinkhole is a must-visit attraction in Oman. Sur is the capital city of the Al Sharqiyah region in northeastern Oman. It has amazing beaches, and was an important destination for sailors historically, which was why it was famous for constructing dhow (type of Omani ships). It has a mind-blowing corniche, two ancient forts, and a natural turtle reserve, which makes it a perfect destination for the lovers of Omani natural and architectural beauty. Ash Sharqiya is the eastern region of Oman. It has some of the most beautiful coasts, especially Ras Al Jinz, which is a natural reserve for green turtles. 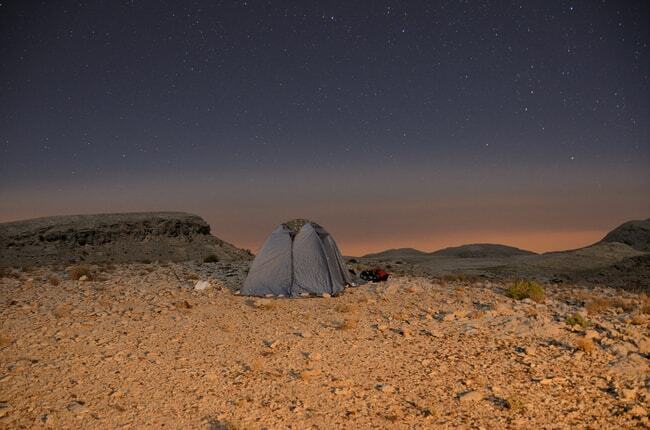 It has also wadis such as Wadi Bani Khalid, which makes it a perfect destination for camping and star-gazing. Muscat is not only the capital city of Oman, but it also combines both natural and architectural beauty in every corner of its lands. It has marvelous beaches like Al Qurum and Al Bustan, the Royal Opera House, and famous hotels and boutique hotels. Wherever you go in Muscat, you will find a unique activity to do or a mind-blowing natural place to enjoy.